Evidence suggests anti-estrogen endocrine therapy (ET) is associated with adverse cognitive effects; however, findings are based on small samples and vary in the cognitive abilities affected. We conducted a meta-analysis to quantitatively synthesize the evidence. Electronic databases were searched in November 2016. Fourteen studies totaling 911 BC patients on aromatase inhibitors (AIs) or tamoxifen (TAM) and 911 controls (i.e., non-cancer controls and BC controls not using ET) were included. Neuropsychological tests were categorized into six domains. Effect sizes were computed to compare (1) ET patients versus controls and (2) TAM patients versus AI patients. In cross-sectional comparisons, ET patients performed worse than control groups on verbal learning/memory, visual learning/memory, frontal executive function, and processing speed, but did not differ on psychomotor efficiency or visuospatial function. Subgroup analyses revealed that verbal learning/memory was the only domain where ET patients performed worse than both non-cancer and BC controls. In other domains, ET patients and BC controls performed equivalently. Regarding change from pre-treatment performance, ET patients did not differ from controls on any domain. TAM and AI patients did not from one another differ overall; however, subgroup analyses indicated that TAM patients performed better than non-steroidal AI patients on several domains, but showed few performance differences relative to steroidal AI patients. Verbal learning/memory was the only domain where ET patients performed worse than both non-cancer and BC controls, suggesting specific adverse effects on this domain. Additional studies assessing change from pre-treatment performance and differences between steroidal and non-steroidal AIs are warranted. The online version of this article ( https://doi.org/10.1007/s10549-017-4627-4) contains supplementary material, which is available to authorized users. Kathy Zhang (Research Assistant, Sunnybrook Research Institute) assisted with abstract screening, full-text screening, data extraction, and manuscript formatting. 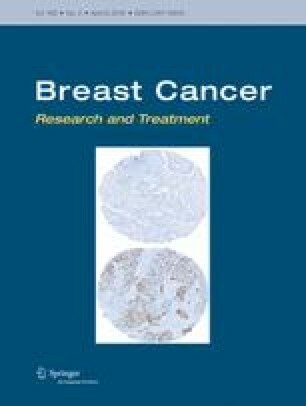 We thank Dr. Carlo DeAngelis (Pharmacist and Clinician Scientist, Odette Cancer Centre, Sunnybrook Health Sciences Centre) for providing pharmacological expertise, and Dr. Gerald Lebovic (Biostatistician, Applied Health Research Centre, St. Michael’s Hospital) for his critical review of this manuscript. This meta-analysis was funded by a Sunnybrook Alternative Funding Plan Innovation Fund. E.A.U. was supported by a Canadian Federation for University Women fellowship and an Ontario Graduate Scholarship award. M.C.T. is supported by a Clinician Scientist award from the Department of Family & Community Medicine, University of Toronto and Sunnybrook Health Sciences Centre. P.A.R holds the Retired Teachers of Ontario/ERO Chair in Geriatric Medicine. The funders were not involved in any aspect of study conception, design, data collection, analysis, manuscript preparation, or submission of this manuscript for publication. KI.P. has served in consulting and advisory roles for, and received honoraria and travel support from, AstraZeneca, Pfizer, Roche, Amgen, Novartis, and Eisai. No other authors have conflicts of interest to report. For this type of study (meta-analysis), formal consent is not required.